13 Above: World's Most Unique Tower For The Pigeon ! World's Most Unique Tower For The Pigeon ! Pigeons Get the Best Architecture... Who Knew? 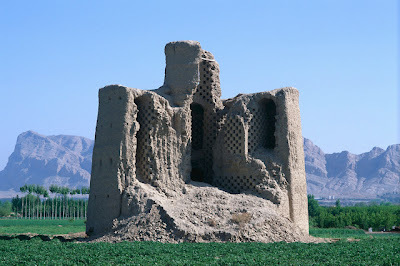 Before somebody decides that these look like disguised missile installations, let us assure you that people of Iran built them for one purposes only: to keep a bunch of pigeons happy. 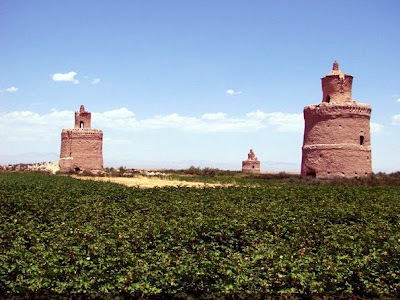 Even stranger than Strange Towers of the Third Reich, these terracotta-colored (favorite pigeon color) structures dot Iranian landscape, some more than 20 meters high. The beautiful architecture of Ancient Persia was built around eight traditional forms which were combined in endless variations. Like the eight notes of the octave, these were arranged into a myriad of forms and structures woven into a seamless whole. 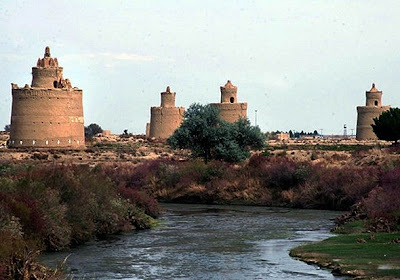 There were thousands of these buildings during the Safavid dynasty, about the 16th century CE. They were built to collect the droppings as fertilizer for melon and cucumber fields... However, in modern times chemically produced fertilizers have drastically reduced the viability of the bird guano industry and as a result not many of these structures have survived to the present day. The droppings were also used in the process of tanning leather. The buildings were constructed in such a way that the birds were quite comfortable and clean on their roosts as the droppings fell straight onto the floor. Each pigeon sat in a neat cubicle (or a "capsule hotel" room, single occupancy) - hundreds of them swirling up in a dazzling geometric pattern. 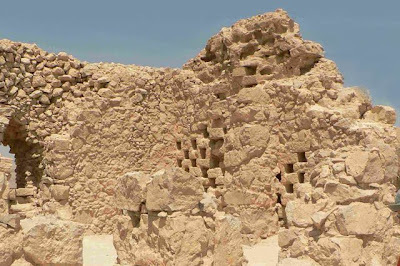 The buildings were honeycombed with hundreds or even thousands of roosts. The elaborate corridors and stairways, many floors and even more levels can make you easily feel lost. 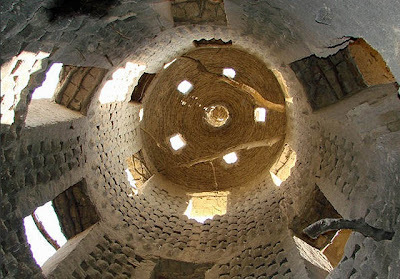 The arched patterns and zig-zagged stone near the top of the tower is specially made to prevent snakes from climbing into the holes. The pigeons should feel sheltered and safe. 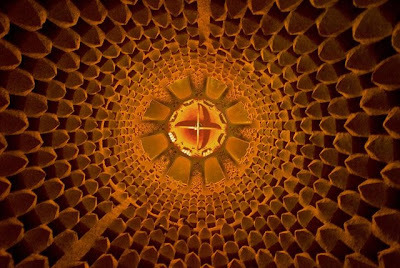 While the Persian pigeon towers may be the most beautiful, Iran is by no means the only country to have such towers. 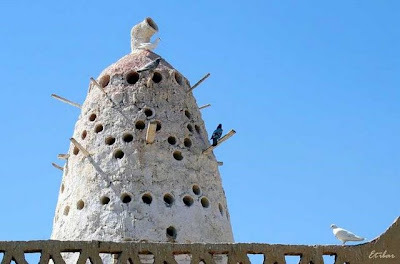 A passion for pigeons is a worldwide phenomenon with a long history: since time immemorial people have been building pigeon lofts from the simple to the sublime. 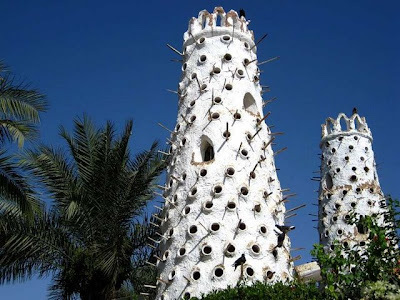 First pigeon towers were built in ancient Egypt, and today pigeon houses can be found all over Europe and even in North America, although in these cases the birds are kept as a hobby or for racing. King Herod kept carrier pigeons at Masada. In England they are known as dovecotes or columbaria, from the Latin name of the pigeon family. English dovecotes were connected with a large estate or manor and were a symbol of status - the greater the land of the estate, the bigger the structure could be. 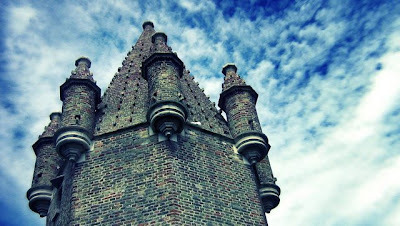 This pegion tower is near Bruges, Belgium (15th century). Top Class Luxury In The Jungle ! The Lord Of Darkness - The Evil Car ! World's Most Creative - Cork Mosaic !